This is so wonderful! 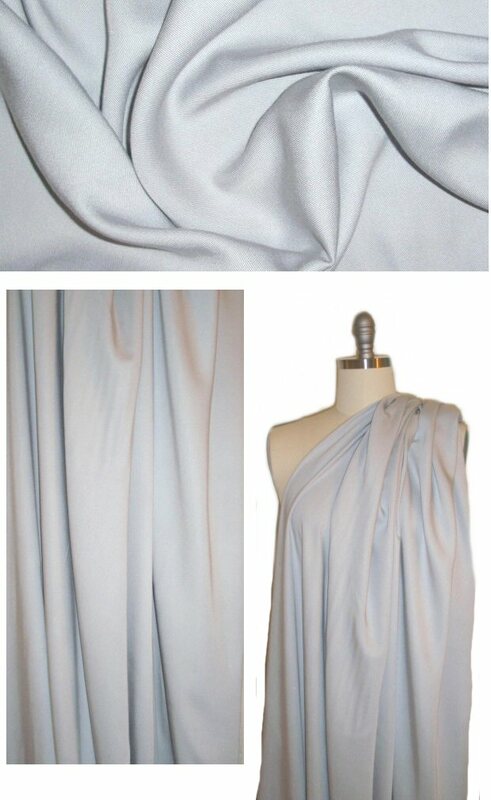 ...drapey BAMBOO viscose woven twill, medium-light weight and opaque. The weight is so versatile, use for any number of elegant and drapey tops or bottoms that can be dressed up or down. It's a fabulous basic in a pretty stone color, or silvery gray (PANTONE 14-4504 is close). Make a shirt, dress, skirt, tunic, top, elastic waist pants, etc. The manufacturer recommends hand wash and hang to dry (please test first).